Should Your Website Redesign Include Parallax Scrolling? Web trends come and go, and one that is showing some staying power is parallax scrolling. Here’s a look at what it is, the pros and cons, and whether B2B businesses should jump on the bandwagon. If you talk to UI designers there can be some disagreement on the exact definition and execution of parallax scrolling. But basically, it’s a computer graphics technique that creates an illusion of depth as you scroll down the page. Here’s a great illustration from designer Rob Palmer, who emphasizes that true parallax scrolling needs an object as a point of focus. Parallax scrolling allows companies to immerse visitors into their site in an interesting and visually-appealing experience. This can lead to a longer time onsite, and gives marketers more control in guiding the prospect through the site. It can also cut down on copy since you are telling the story visually. Here’s a good example of a “Wow” B2B parallax scrolling website. Click on the image and scroll down the home page. I particularly like the “government” journey. Instead of a forgettable sea of facts and figures, the parallax approach provides a memorable visual experience and allows for great storytelling. On the other hand, the healthcare journey left me a bit frustrated. 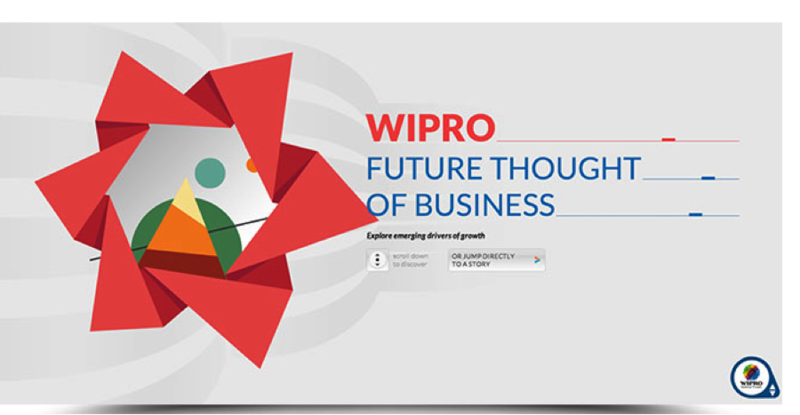 One other note: click on the bottom right WIPRO icon to go to the company’s homepage. After the dazzling use of technology in the business sector journeys, the WIPRO home website was a visual disconnect and looked outdated and drab. Companies that use a parallax design have the opportunity to tell their stories in a fresh and exciting way that provides more in-depth storytelling, and direct prospects to key Calls-to Action (CTAs). But all that dazzle isn’t free. Parallax sites can be more costly to create (although templates are now available that lower the costs), and there are other factors to consider. Parallax scrolling sites are one single long page, and that can cause problems with SEO if not properly designed. An effective workaround is to combine your parallax home page with sub pages, i.e. some content links will go to separate pages that have their own page URLs for unique topics. These supporting pages that contain content centered around important keywords will give Google and other search engines more indexed pages, and allow for more in-depth storytelling on certain topics. Load times are another potential issue, since there are so many images on one page. And as we’ve discussed previously on this blog, people are not inclined to wait around for slow page loads, so they may never even see your carefully designed experience. The answer to potential load time issues is to embrace a "mobile first" design philosophy, and test your site on a variety of devices and browsers. You may also need to boost your server speed. Should Parallax Scrolling Be Part of Your Website Redesign Strategy? 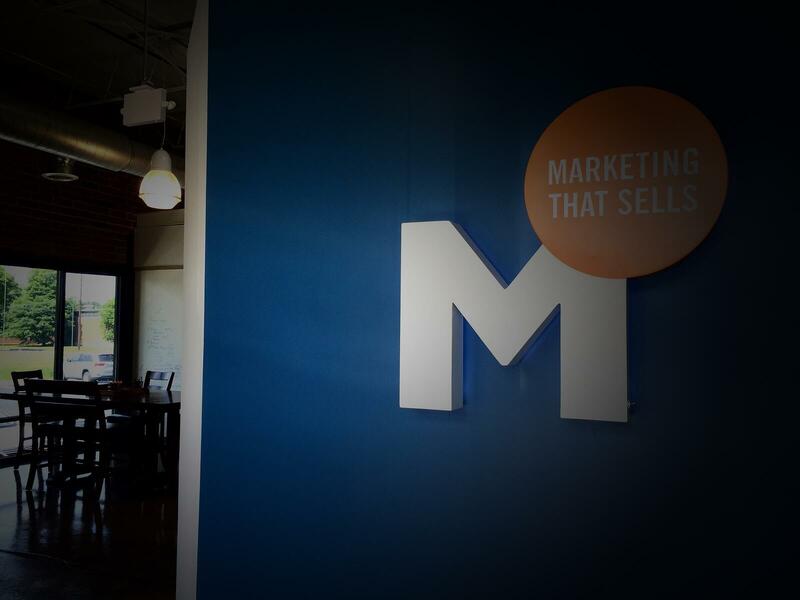 As with most things it depends on your business, your buyers, and your goals. Start by asking whether the user experience on your website will lend itself to content promotion and sales inquiries. Will the interesting parallax effect make your brand memorable and help to highlight your solutions? Or will it be a distraction to prospects and an unnecessary expense? User experience has become a foundational discipline in creating websites for both B2C and B2B websites. The fact is, users want it their way when searching online. I read something recently about web design that stuck with me: Don’t make prospects think. We all expect intuitive online experiences that make immediate sense to us. If we make visitors to our site stop and hunt for a long time to find something, they may hop off the site and go back to their search engine to find a competitor. The bottom line - if you decide to embrace parallax scrolling as part of your website design strategy, remember to keep your eye firmly on the end goal – conversion. Take full advantage of the parallax scrolling ability to visually emphasize key messages and CTAs, and make sure that the technique is supporting your brand story. Your website development team, whether in-house or outsourced, should also be fully versed on the potential pitfalls and know the workarounds to avoid them. Parallax design, done correctly, can do much more than provide a visually stunning experience for your prospects. It can better educate prospects on solutions to their challenges in a memorable way that allows you to provide the right CTAs at just the right moment. Think it could be time for a website refresh? Answer the 12 questions below to find out.